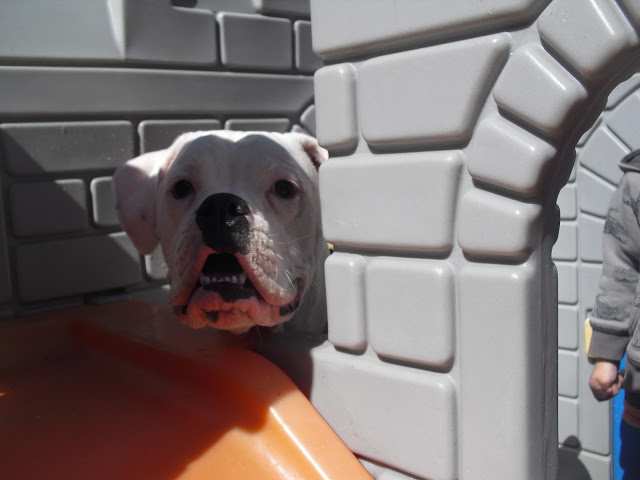 Meet Jake, a boxer bulldog mix. This cutie pie is around 2 years old. He joined Valerie's family through an ad she saw on Craigslist. Jake may be big and intimidating to some, but this gentle giant gets along great with kids. 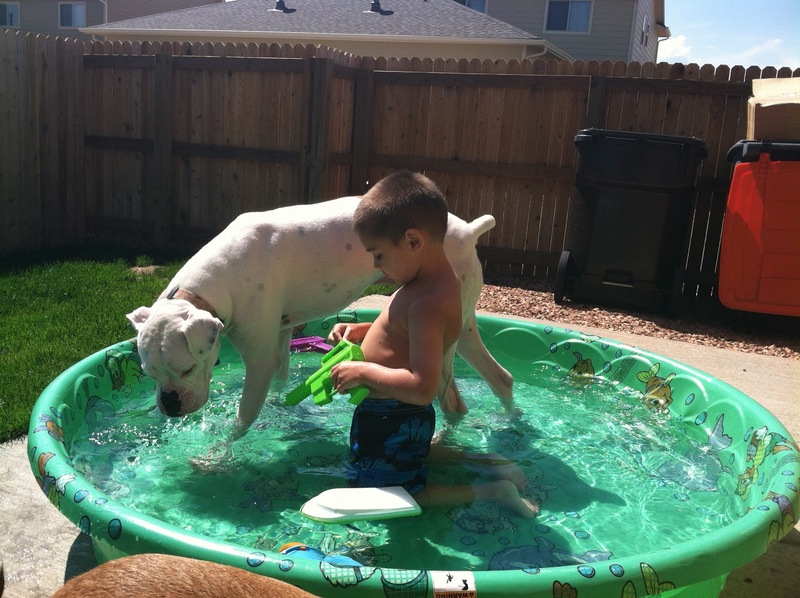 He does seem to hog the kiddie pool though with his 80 pounds of fur. Jake loves to dress up in different outfits and costumes. Above he is dressed in a colorful tutu. 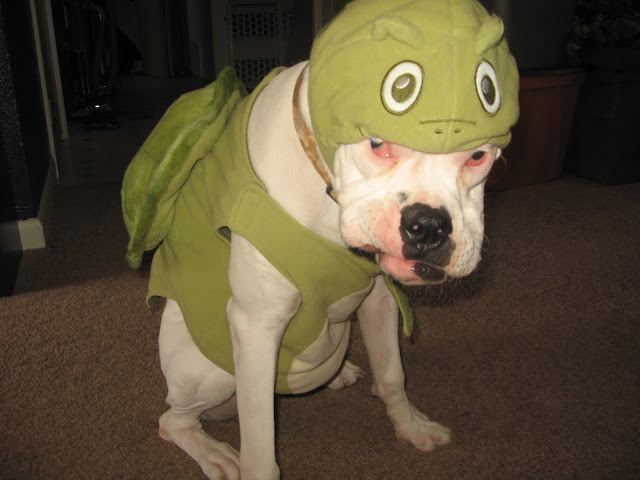 Below he is pretending to be a turtle. Clearly Jake wants to be famous, but it's tough out there in show business. That's where Charlie comes in. Charlie the Chihuahua is the boss of the bunch. He's Jake's agent and is in charge of his career as a celbridog. Just look at that stance, all business! He came into the family from a local animal shelter and is 3 years old. He is working hard on their success. 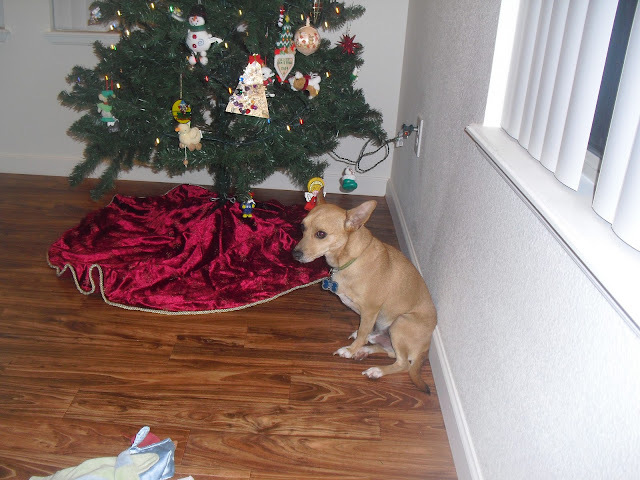 Here is is by the Christmas tree making sure the scene is set perfectly for Jake's debut later in their version of A Christmas Story as one of the Bumpuses' dogs. Be sure to keep a lookout for Jake and Charlie, they're going places!